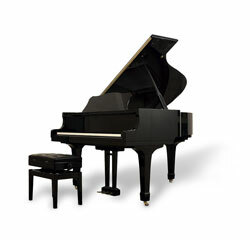 For piano movers in the Atlanta area with the experience to ensure your family’s favorite instrument arrives at its new location in exceptional condition, turn to the expert movers at Buckhead Movers. We are well-known for our expertise in the packing and moving of high-end estates in the Greater Atlanta area and have moved many pianos of all kinds, from spinets to concert grands. While pianos create graceful melodies, they are one of the most cumbersome instruments to relocate, so we understand why many people choose to forego moving their piano themselves and leave it up to the pros. When you choose our piano movers in Atlanta, you get the superior services and outstanding benefits that have earned our full-service moving company an A+ rated with the Better Business Bureau as well as the Consumers’ Choice Award for nine years in a row. We take the extra steps to ensure our customers’ total satisfaction. From the pre-installation of floor and wall protectors to our optional custom wooden crating, you can be sure that your home and your belongings are in the best care possible with Buckhead. Choose us for a piano move, and you’ll know your piano will be safe and sound to be enjoyed for years to come. For more information on our professional piano movers serving Atlanta, Marietta, Alpharetta, Dunwoody, and beyond, contact Buckhead Movers today.